There was the 9-minute Marinator, the Pooch Bagz for cleaning up dog poop and, of course, a fitness contraption guaranteed to give you six-pack abs. There were even some inventions so brilliant that their creators wouldn’t talk about them publicly, lest some copycat steal the idea. George Chandler of Hansen came with nothing but a vision in his head and a pen in his hand. He used a college-ruled notepad to sketch out something for the three-member judging panel that onlookers couldn’t see. What did he draw on that page? The pitch contest was sponsored by Top Dog Direct of Trevose, Pa., the company behind familiar infomercial products Mighty Putty and Ding King. Like those TV spots, the competition was no elaborate production. 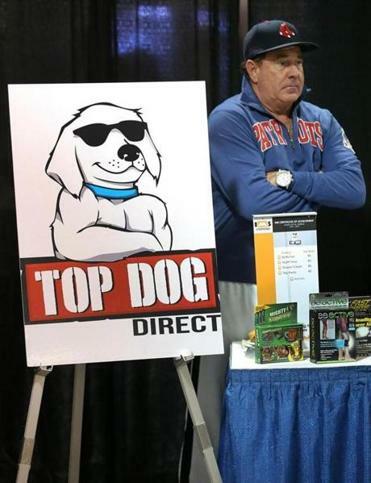 Top Dog set up a booth at the Small Business Expo at the Hynes Convention Center. There was no stage and no microphone, but no fee either — not even shipping and handling. Pitch contests are his newest scouting strategy. The first one in Philadelphia in March yielded the BeActive brace for relieving back pain, which is already on TV and in stores. Of the 20 or so pitches, McAlister said a few were promising enough to follow up with their inventors.